EARLIER THIS WEEK, Trulia published a post by Chief Economist Ralph McLaughlin called “House Arrest: How Low Inventory Is Slowing Home Buying”. The article analyzed trends in housing inventory. 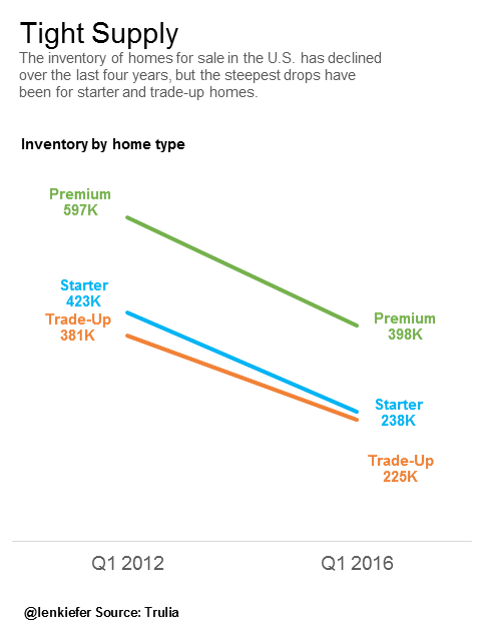 Trulia broke housing inventory into “starter homes”, “move-up homes”, and “premium homes”. 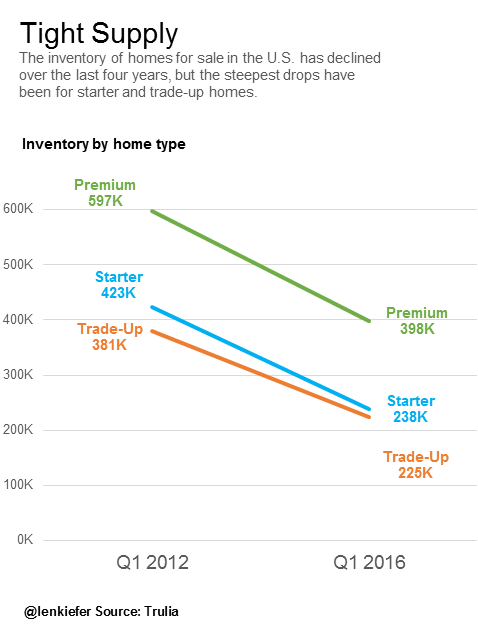 They found that the inventory of available homes for-sale has shifted towards premium homes and away from starter homes that first time homebuyers would typically be buying. We’re not here to talk housing inventory, but I recommend you take a look. No, this post is about Data Viz. This Wall Street Journal article referencing the Trulia analysis included this workmanlike bar graph on housing inventory based on the Trulia data. 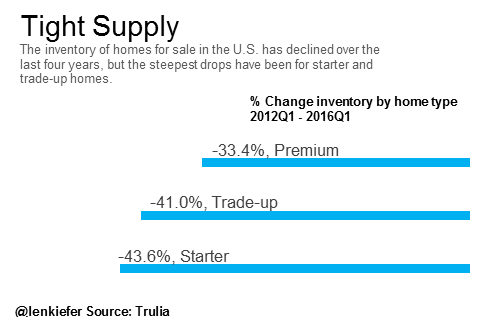 The downside of this slopegraph is that it doesn’t seem to support the main point that starter homes are special. 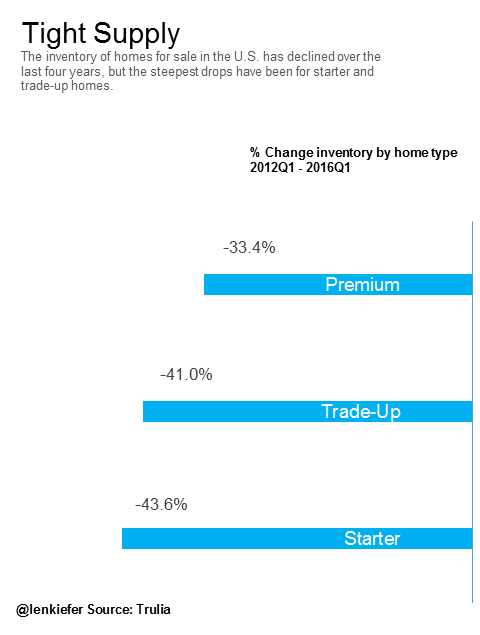 To me, the slopgraph seems to suggest that both premium and starter categories experienced similar declines. If you look back at the bar chart you’ll see that seems to be true with that graphic as well.